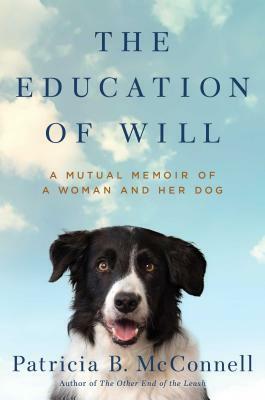 In this powerful, soul-searching memoir, beautifully written in the vein of A Pack of Two and Wild, animal behaviorist Dr. Patricia McConnell recounts for the first time the compelling story of her dark past, memories of which are triggered by a troubled dog named Will. World-renowned as a source of science and soul, Patricia McConnell combines brilliant insights into canine behavior—gained from her work with aggressive and fearful dogs—with heartwarming stories of her own dogs and their life on the farm. Now, she reveals that it wasn’t just the dogs who had serious problems. For decades Dr. McConnell secretly grappled with her own guilt and fear, which were rooted in the harrowing traumas of her youth. Interweaving enlightening stories of her clients’ dogs with tales of her deepening bond with Will, Patricia recounts her fight to reclaim her life. Hopeful and inspiring, the redemptive message of her journey is that, while trauma changes our brains and the past casts a long shadow, healing, for both people and dogs, is possible through hard work, compassion, and mutual devotion. "In addition to information sure to appeal to dog lovers, the author provides a compassionate account of the reclamation of her life from abuse and shame. An uplifting story of hope about how both dogs and humans need "a sense that they are not helpless victims."" — Frans de Waal, Ph.D., author of Are We Smart Enough to Know How Smart Animals Are? "This book is more than a story of a bad dog turned better, and it is more than a recitation of how dogs can help people. McConnell achieves something simple, honest, and beautiful in a book about a troubled woman and her troubled dog." "Human and border collie lead each other to peace... An animal behaviorist's memoir parallels her healing from multiple traumas as she patiently leads her beloved border collie to overcome his fears."